After planning and excellent promotion, the Red River Fly Fishers decided to host a winter fly tying event for the North Texas, Arkansas, Louisiana, and Oklahoma fly tyers. Fellow tyers congregated at Bonham State Park's Group Barracks beginning Friday afternoon and staying until Sunday noon. 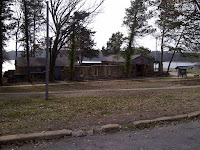 Some chose to stay in one of the Group Barracks' cabins, while others camped in their RVs or tents at the Hackberry Hollow Camping Area. Cody towed the Zoom, and I towed the Mitzi, in the hopes we would get to fish Bonham SP Lake (which was lower than we'd like, even for a skiff). Tyers brought their benches, materials, wares, clever ideas, and plenty of food to share with one another graciously. Guests could learn fly casting from one of many CCIs present and test out rods with Rick Pope of Temple Fork Outfitters. An informal, but detailed presentation with maps on striper fishing Lake Texoma captivated many attendees' attention. Mostly, approximately 80 tyers did what they do best, shared--their materials, ideas, patterns, and passion of tying with one another. Many chose an afternoon of fun and hilarity at Bonham's Homestead Winery's wine tasting. Food. Oh my, the food was fabulous and flowed a-plenty. Everyone brought their best recipes and dishes to share with everyone--three and four helpings worth per person, including Fred and his Jambalaya. Honestly, we are glad that these rendezvous don't happen too often, because we would gain about 10 pounds--eating and sitting and tying and sitting and eating and tying, oh my. Saturday evening the Red River crew hosted both an open-raffle and raffles for three rods--a TFO 5# Professional, a Switch Rod, an Inspire Fly Rod, and a wine basket from the Homestead Winery. Steve Kimple entertained the crowd in singing around a roaring bonfire, while some continued to tye flies late in to the evening. Sunday morning, tyers were treated to a light breakfast and began packing up their benches until the next event. In a most generous act, the Red River Fly Fishers made the decision to forego the fly raffle (and any profits they would have made), and asked instead, that tyers donate their flies to the 2012 Fly-A-Thon collection tub I had placed in front of my tying bench. Tyers, as they most often do, did not hold back. The Fly-A-Thon tub runneth over. As Cody and I made our way back home, we talked about how impressed we were with this Rendezvous and found it really difficult to believe that this was just their first event. 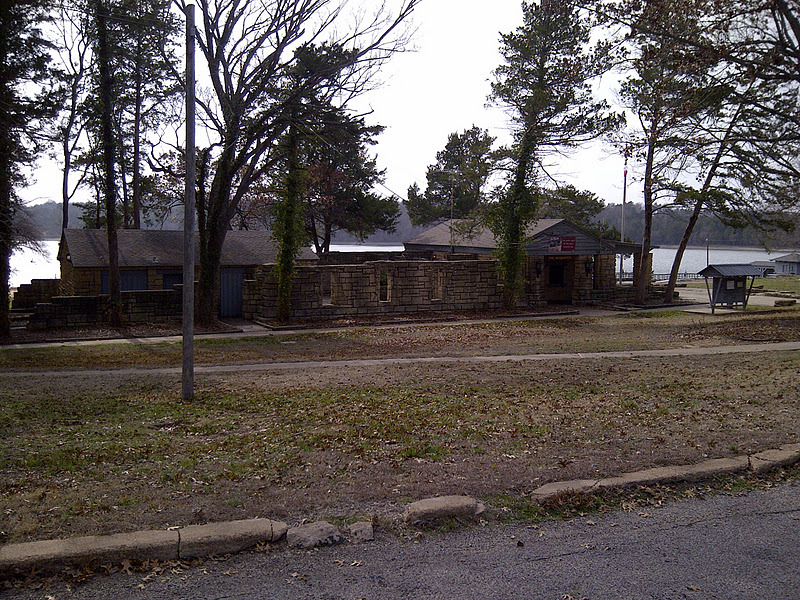 On Jerry's way home, he stopped by the park office and booked Bonham SP for 18-20 January 2013 for the 1st Annual Red River Rendezvous, a must for all fly tyers of whatever experience!